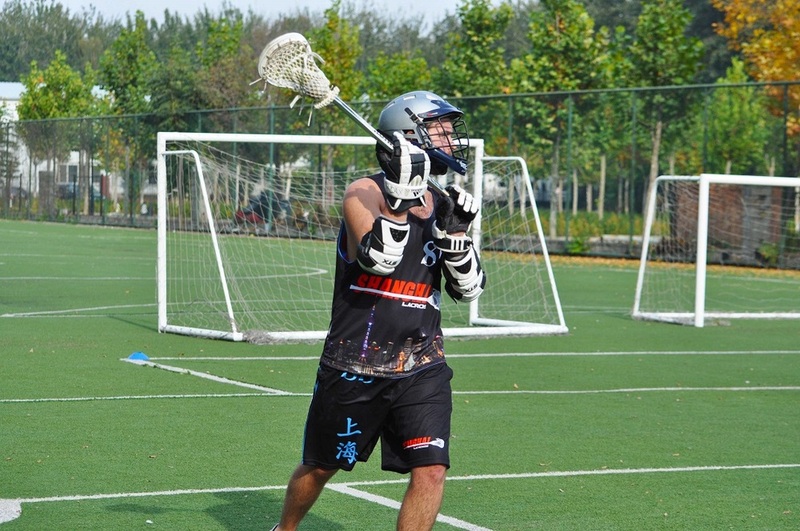 Shanghai Lacrosse traveled to Beijing on the weekend of October 24th 2015 for the Inaugural Capital Cup. 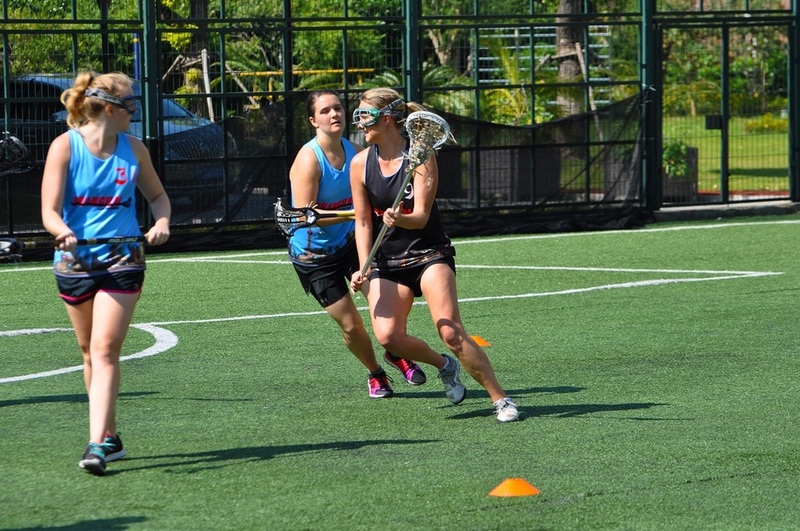 Players from sides held a youth clinic in the morning followed by the Shanghai vs Beijing Women's and Men's games. 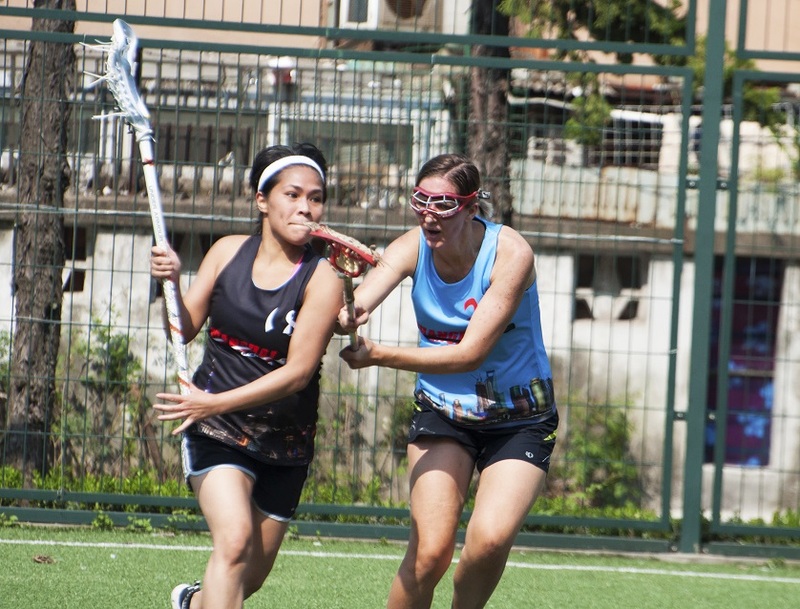 Shanghai won both contests with the women outscoring their opponents 14-3, and the men holding tough for a 17-9 victory. 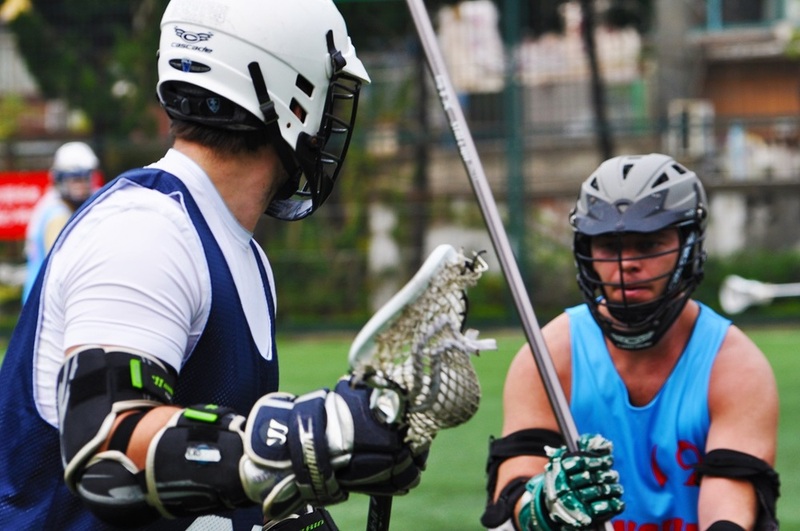 This was an important step in building relations between the two programs and strengthening efforts to develop lacrosse in the world's most populous country. 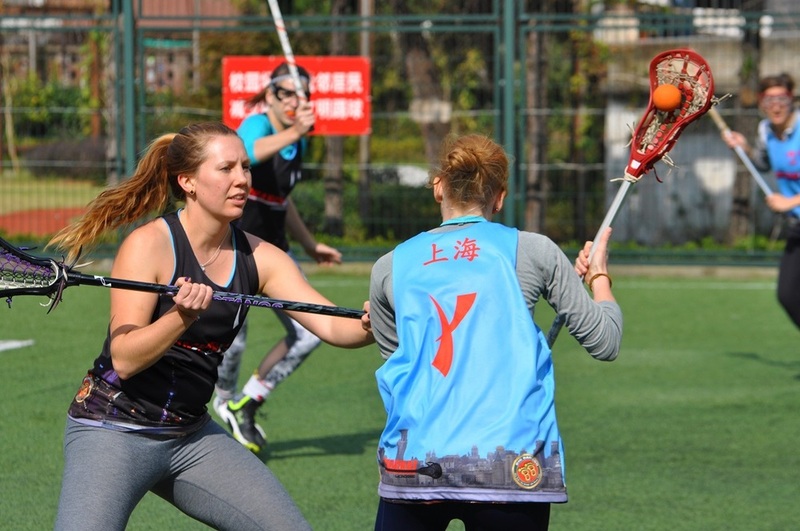 Big Thanks to our hosts Beijing Lacrosse!!! 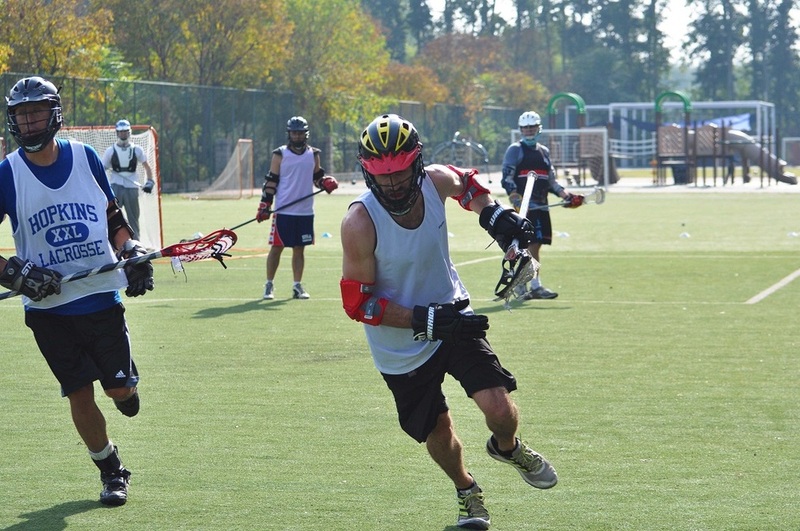 On October 24th Shanghai players made the trek up to Beijing for a Saturday of lacrosse. 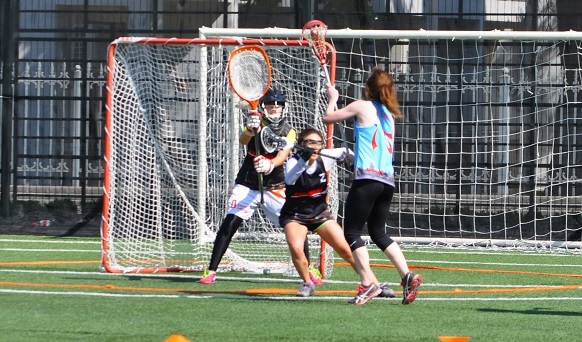 Bei area lacrosse hosted the event, dubbed the 2015 Capital Cup, at Dulwich School in Beijing for the day. 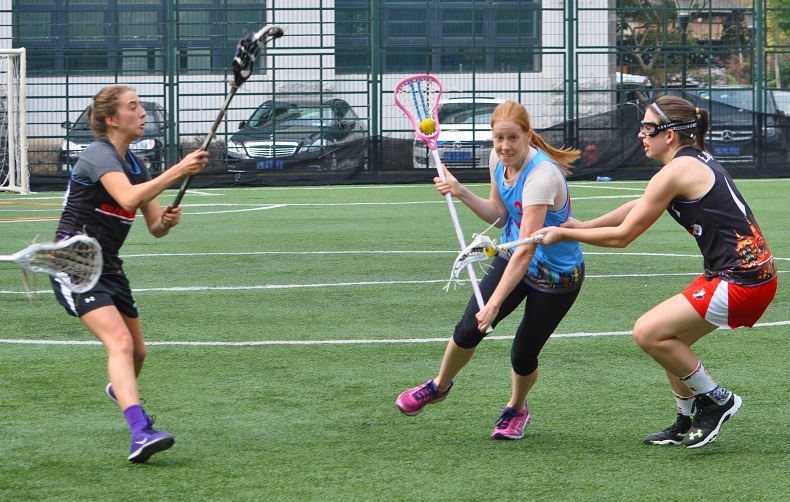 The event kicked off in the morning with a youth/new player clinic to encourage the growth of the sport in Beijing. 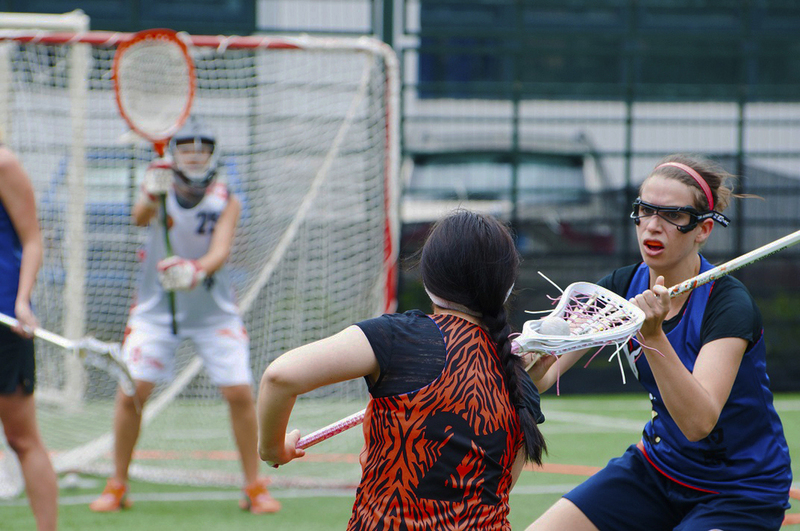 Both men's and women's teams saw a battle between two of China's biggest cities lacrosse teams. 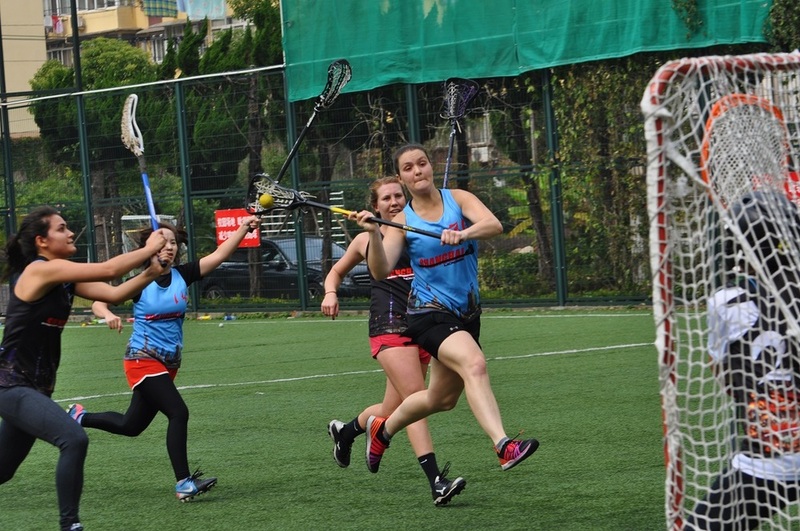 For the women's game: Shanghai took an early lead and managed to come out on top with a win. 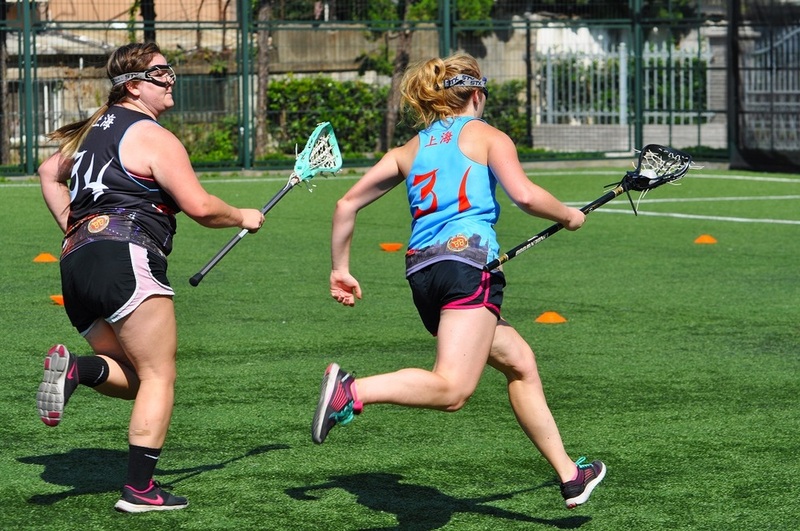 Shanghai lacrosse new comer Christine Haas scored her first two goals. 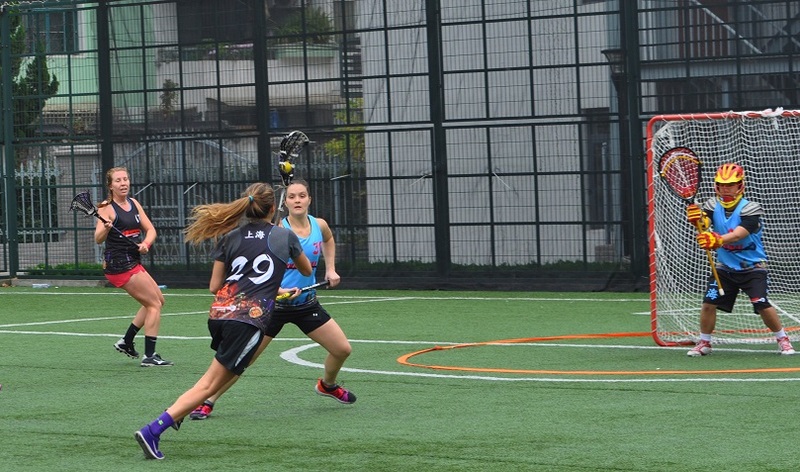 Mandy Wang stood firm as always in goal leading the Shanghai women's defense. 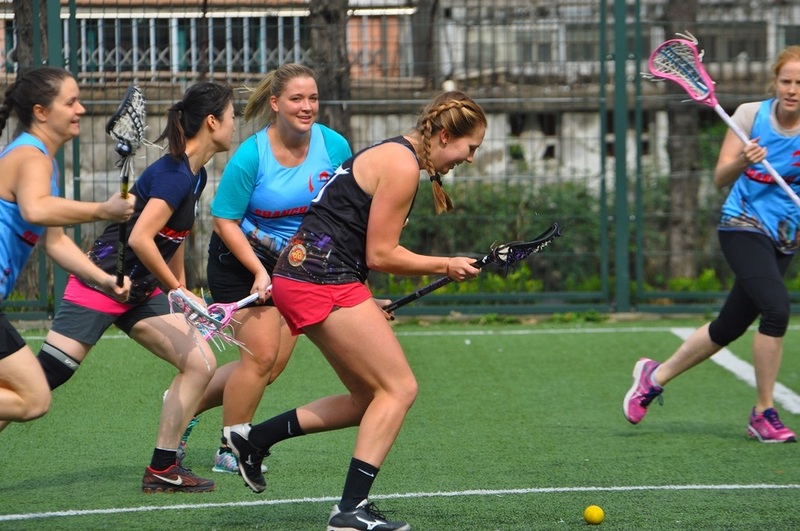 Beijing women's team fielding many new players who proved their speed and ability to pose a threat to the Shanghai squad. 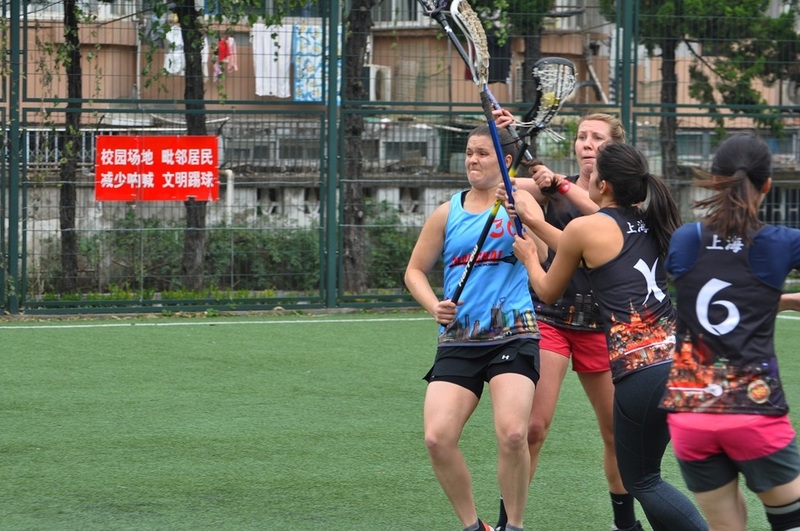 Leading in scoring for Beijing was veteran player, Kristen Heimstead. 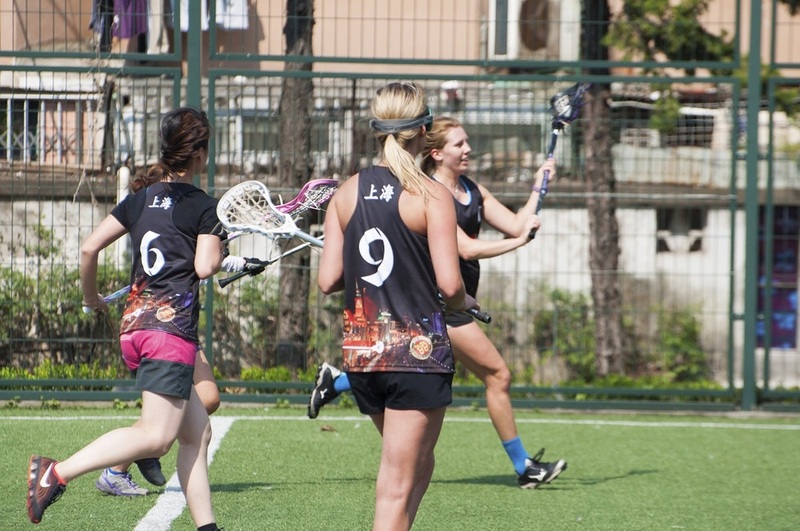 Shanghai is looking forward to another match up between these two cities in the spring on their own turf. 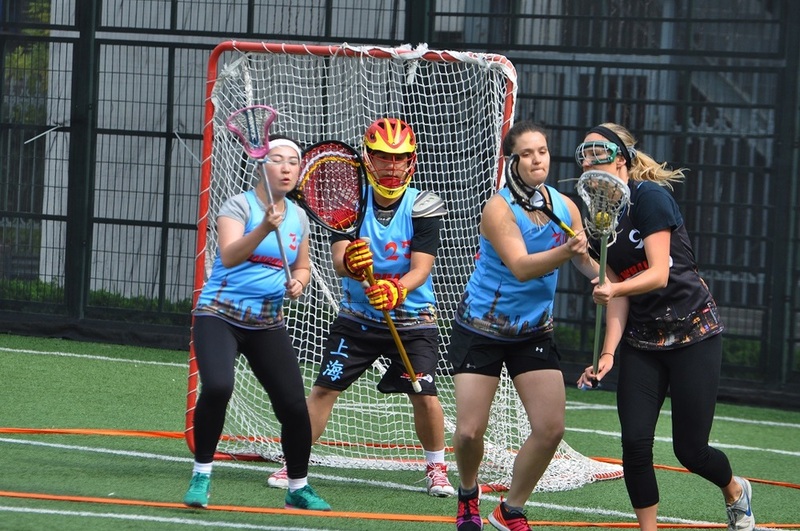 The Men's Capital Cup match followed the Women's and team Shanghai wasted very little time thanking the host team from Beijing. Right off the opening faceoff, Alex Spang won the draw to himself, settled the play, then took it straight to the house for the game's first goal. 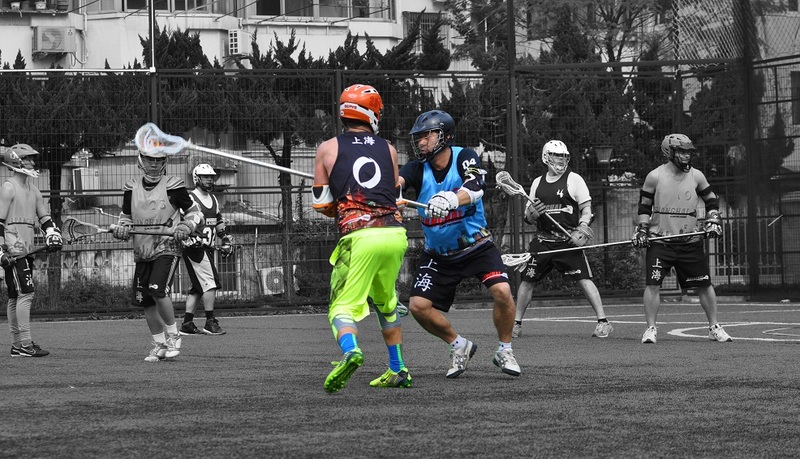 Spang scored a second moments later to set the tone for Shanghai. 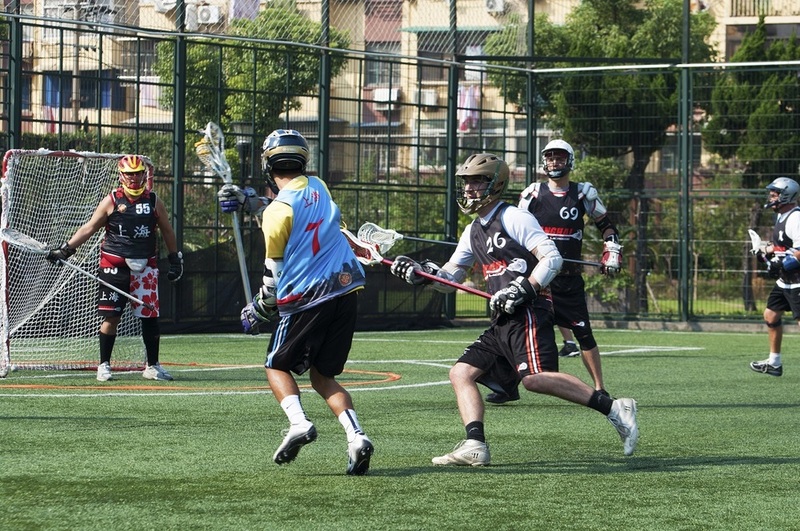 Team China player Curtis Wang 王政中 was next to strike as he netted Shanghai's third goal. 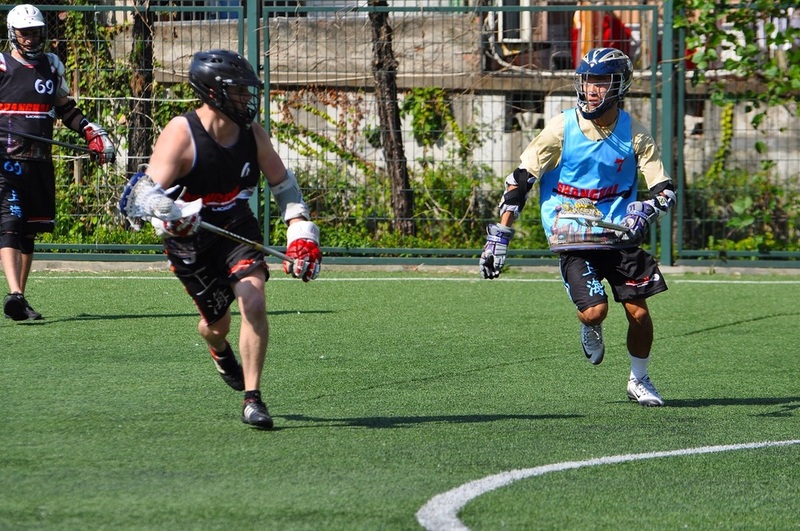 Wang 王政中, from the center-mid position, cut to the weak side and caught a pass from his World Championship Coach, Mike Elefante, on his way to the net. 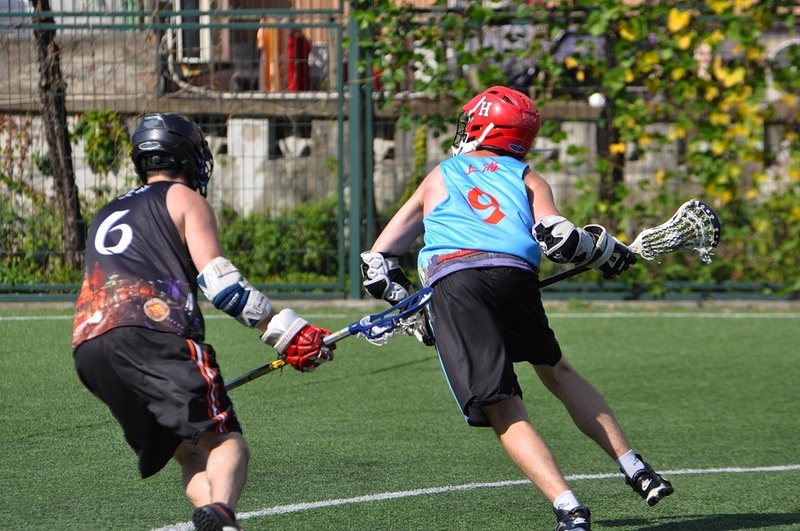 Beijing's first goal came from #18 Jason Ma shortly thereafter. Ma cut through the midfield with a left to right split dodge and then buried the shot past Shanghai's starting goaltender Mark Lemmon. 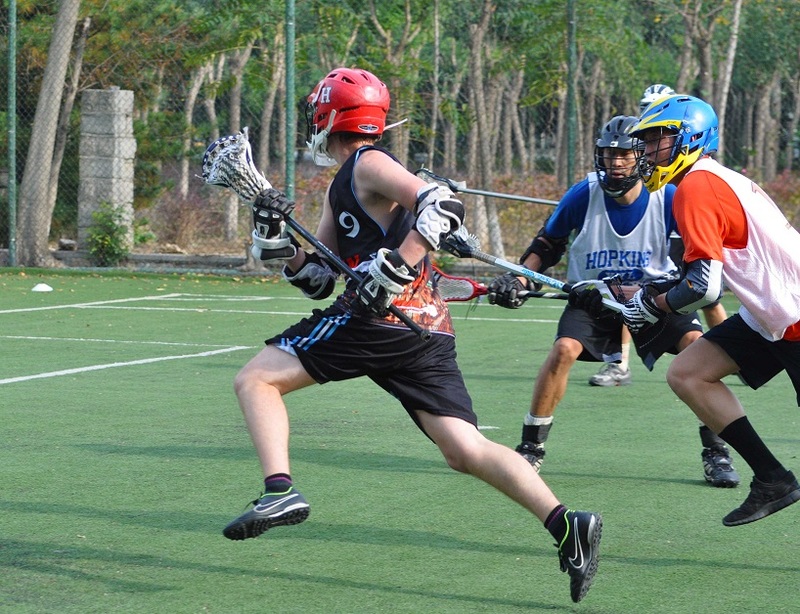 Beijing's top scorer, Max Cassidy, got his afternoon started scoring Beijing's second goal. 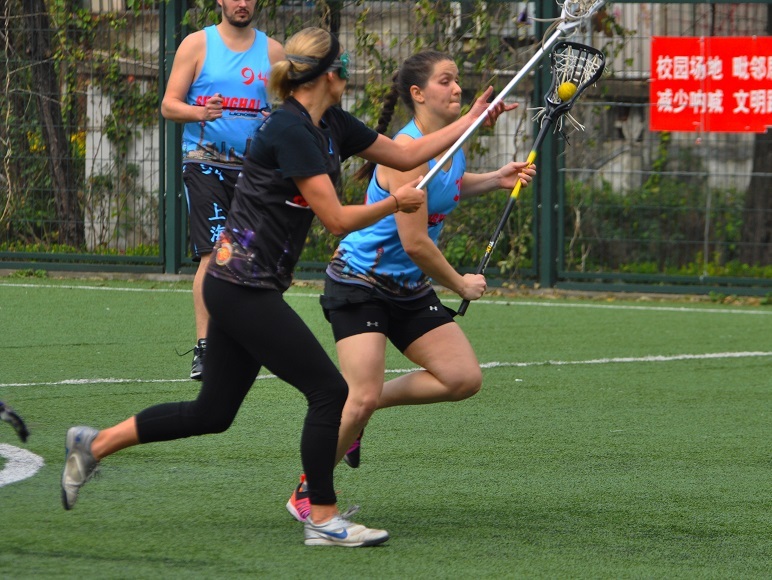 Beijing defensemen Yuan Yifan 袁一帆 was also a member of the 2014 China World Championship Team. The 2015 Capital Cup marks the first time Yuan Yifan 袁一帆 has been reunited with his teammate, Curtis Wang 王政中, and coaches Mike Elefante and Barton Wheeler since the tournament in Denver, Colorado last July. 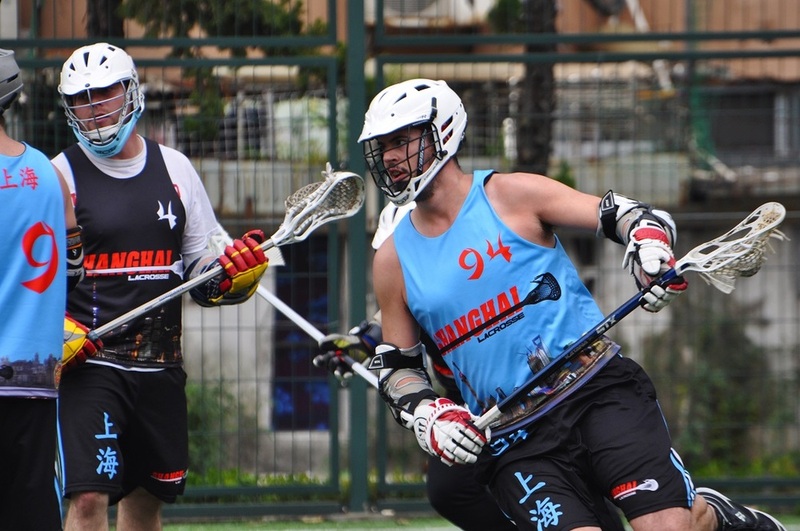 Coach and player Mike Elefante was next to score for Shanghai as Mark Collins drew a double team and found Elefante alone with the Beijing goaltender John Wawrose. Collins then danced his way to a goal of his own on the next play as well as two more in the half. Beijing's Andrew Hsu got his first of two when he scored the team's third goal off a feed from Toby Jarman. Cassidy drew a defender behind the net on the next play. He rolled off the defender from X and broke through both sliding defenders on the way topside before scoring his second goal. He would also score twice more in the half with an assist on his fourth goal coming from Jake Ziegeler. Taking notes on the play, Jemison Foster took the ball to X and went right where Cassidy had gone left. Foster had similar luck breaking through the two defenders to gain a shooting angle before he too beat the goalie for a tally of his own. 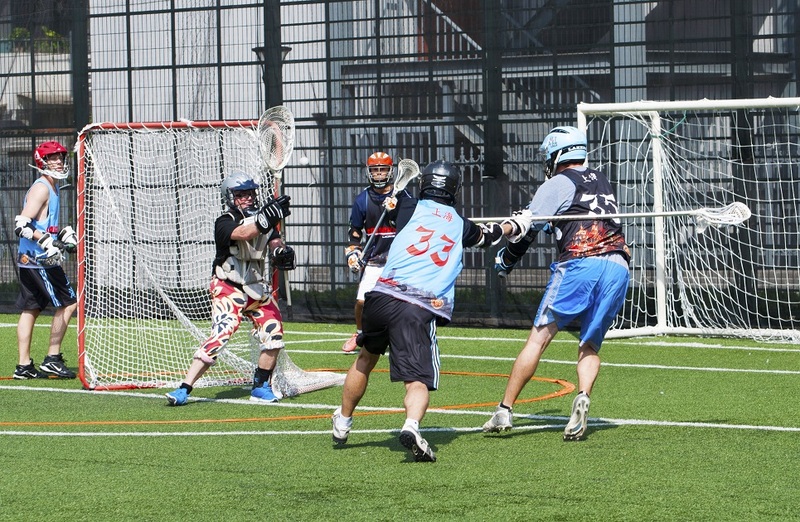 Alex Spang, fresh off the bench, took control again scoring two more goals off split dodges from the top. Elefante would score again from the left side as Barton Wheeler caught Elefante's defender looking to double up on defense. 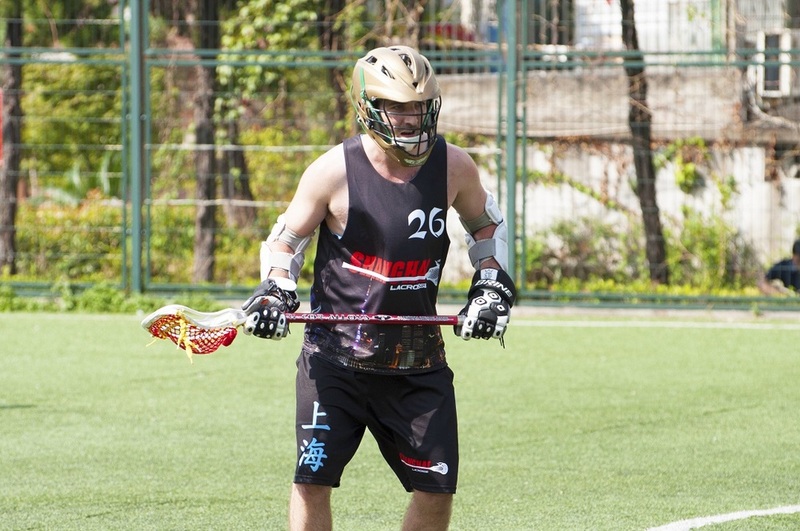 Matt Dixon found his spot and scored as well to round out Shanghai's scoring in the stanza. 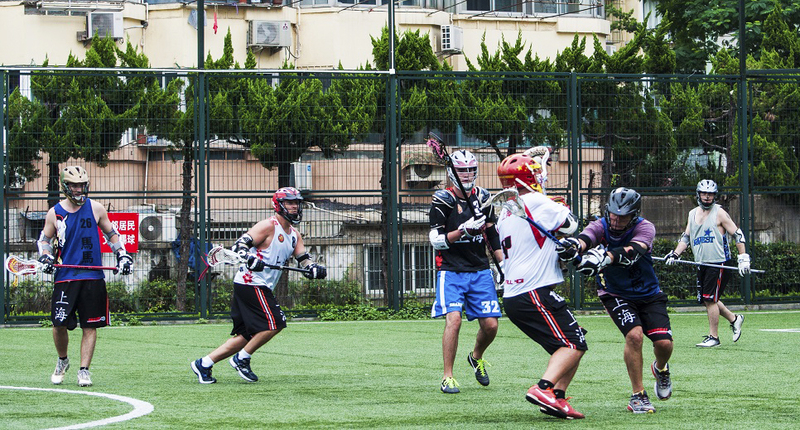 After the first half, Beijing was down 7 - 11 to their southern rivals. 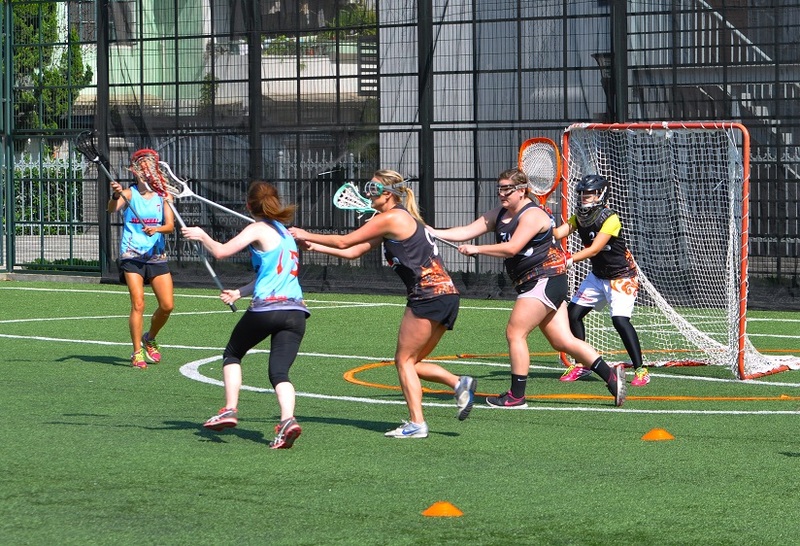 In the second half, both teams played smarter defensively and scoring tightened up. Barton Wheeler scored twice for Shanghai on shots from the outside. Alex Spang assisted on Wheeler's second and the team's penultimate tally by Mark Collins. Collins would score the team's final four goals to finish with seven goals and an assist as the game's leading scorer. Beijing's goaltender John Wawrose made save after save against a barrage of shots from Shanghai registering 19 saves in the game. 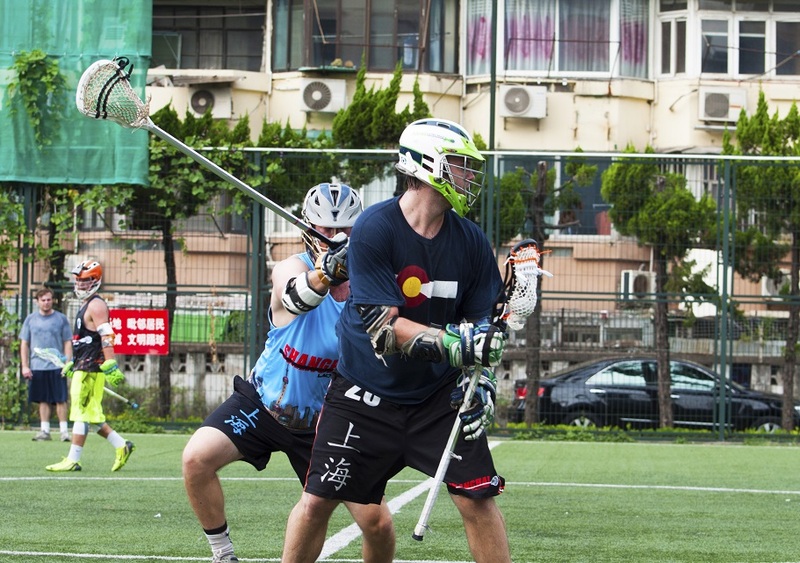 Despite his efforts Beijing was only able to beat Shanghai's second half goalie Curtis Wang 王政中 with two shots. 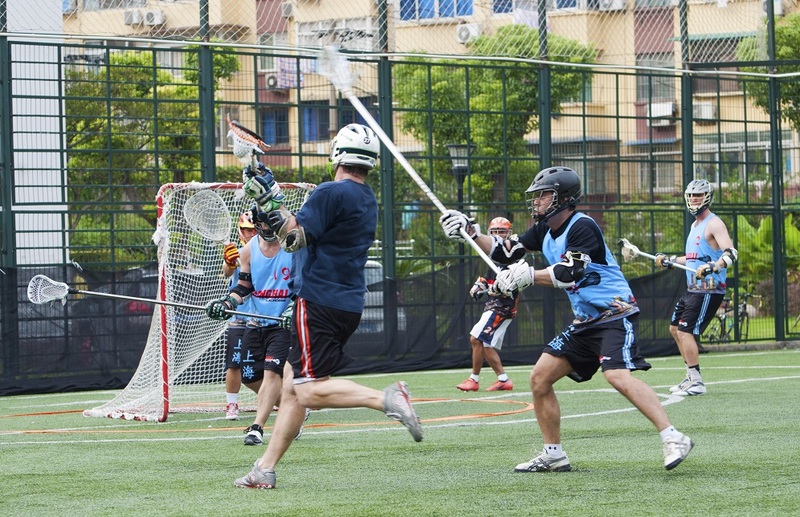 Toby Jarman dodged his way to the crease and drew blood from close range before Andrew Hsu scored the final Beijing goal. 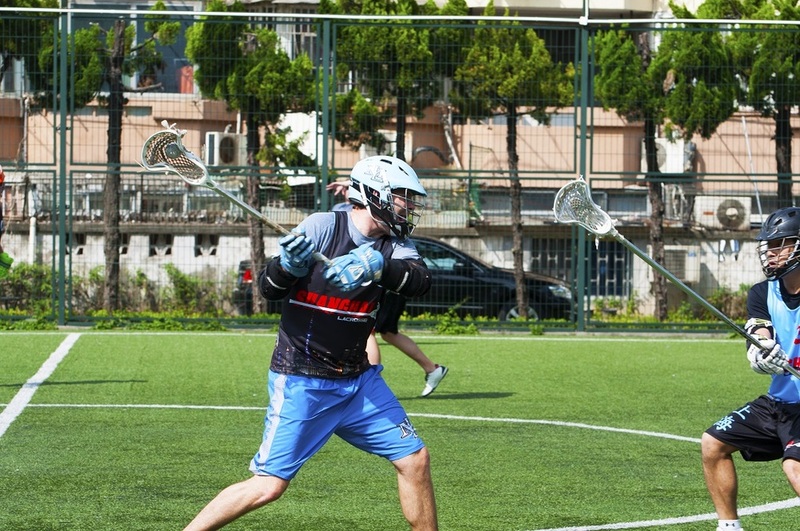 Shanghai goaltenders Mark Lemmon and Curtis Wang 王政中 were each credited with two saves. As the final seconds ticked off the clock spirits were high on both sides. 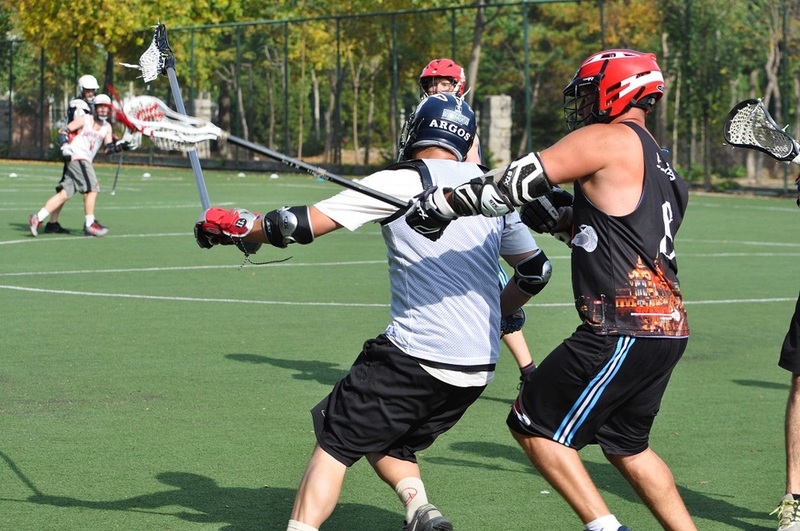 Realizing this first match had been a victory for all who played and represented the sport of lacrosse that day. Handshakes and high fives were exchanged as Shanghai cordially thanked Beijing for hosting the first inter-city showdown. 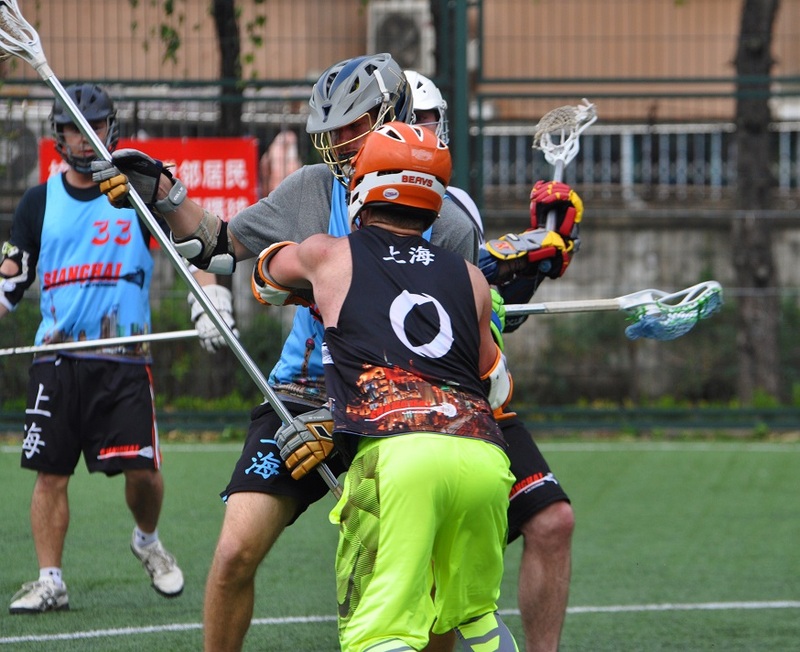 Talk turned to the next match happening in Shanghai sometime in 2016 so look for updates coming this spring.